Built new as Southern Pacific Railroad (SP). Bought by the Foley-Burke Circus in Redwood City in 1960. Has 2 doors – 4’10” and 7’. 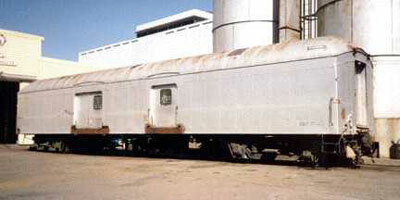 Donated to PLA from GGRM in partially dismantled condition in November 2005. Reassembled and moved to Niles Canyon in Feb 2006. Stored, East Sunol, CA.